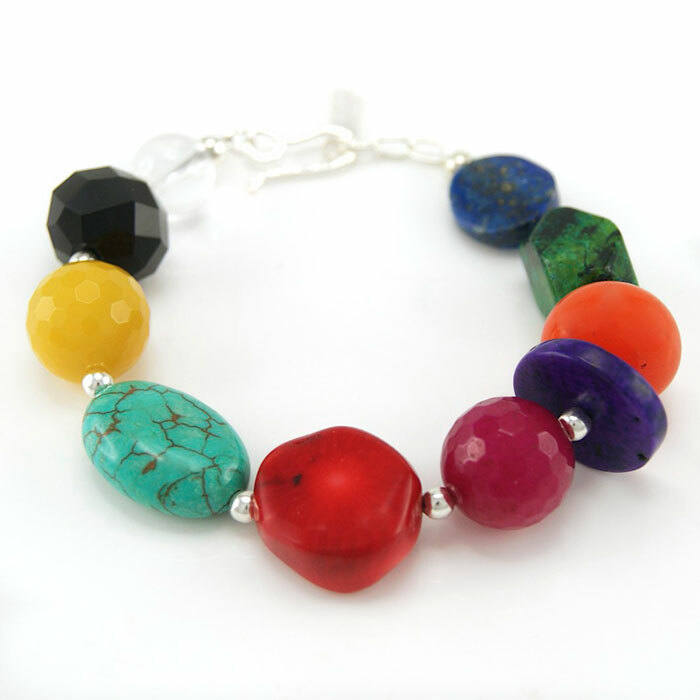 Individual, hand picked semi-precious stones of agate, amethyst, coral, crystal, jade, lapis lazuli, onyx, turquoise and silver bracelet. Australian designers Jenny Riley and Jason Burnett create fabulous pieces of bright and bold Jewellery. Semi-precious stones are hand-picked for each individual piece and mixed with accents of Sterling Silver, these are skilfully arranged to create limited edition masterpieces!